Anna-Lee Chapman was a bride that knew what she wanted and on June 17, 2017 she enjoyed her heart's desires. 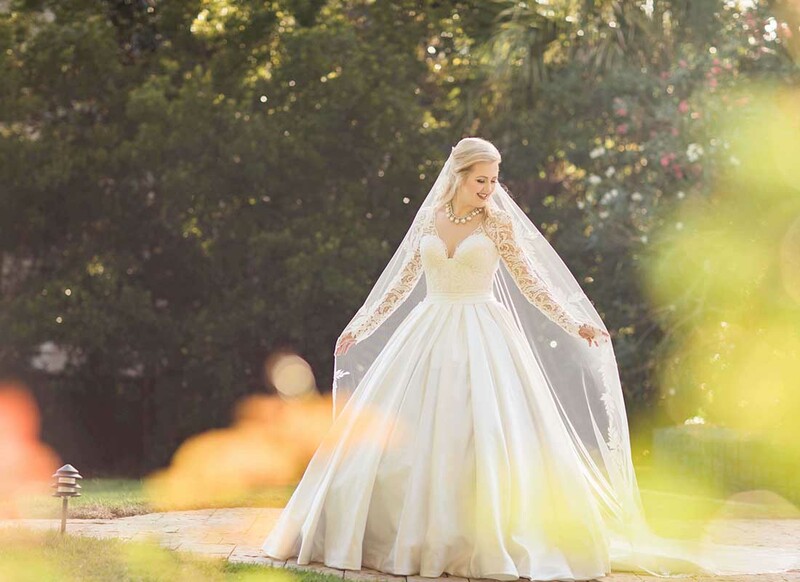 She married the love of her life, Kristian Chapman, at the Grace Presbyterian Church in Panama City, Florida wearing a gown that contained all of the Southern charm and elegance that she had desired. Although Anna-Lee had not looked at any gowns or designers, she knew precisely how she wanted to look on her wedding day. Inspired by the elegance of Princess Kate's wedding gown, Anna-Lee knew she wanted a gown with a long sleeve lace top and a ball gown bottom. 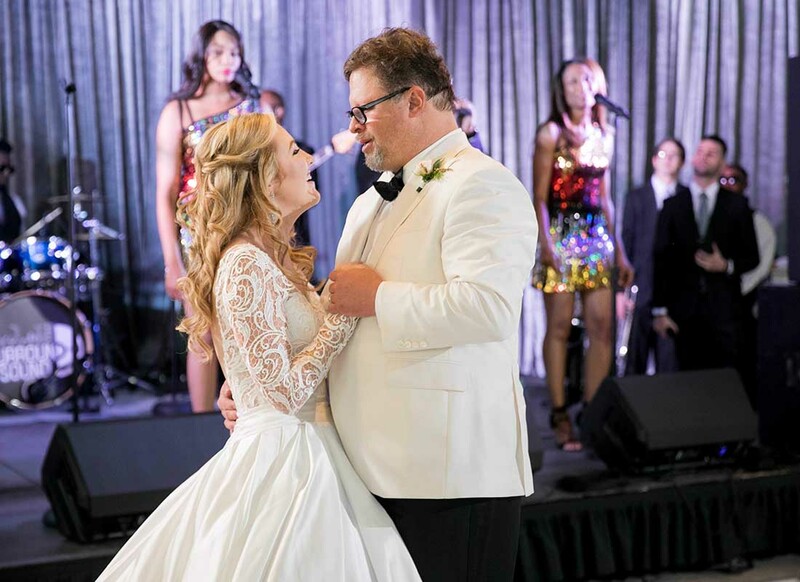 Therefore, when Anna-Lee visited Kleinfeld Bridal with her family in search of her wedding dress, it did not take her long to zero in on the gown she knew would be the one. 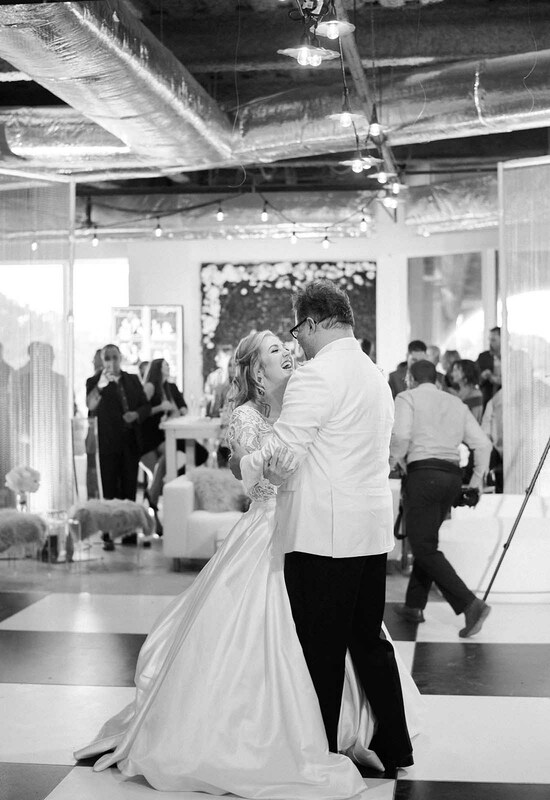 Anna-Lee headed straight into the Pnina Tornai Boutique and grabbed a guipure lace and satin ball gown off of the rack and declared that that was the gown for her! Once in the fitting room, Anna-Lee tried on the gown she chose first. All of her thoughts were confirmed the minute she had the gown on. 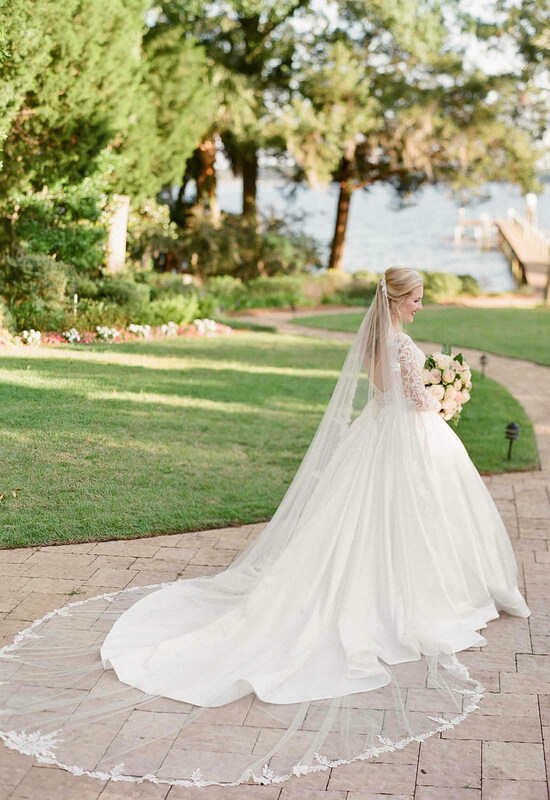 So in love with the gown, Anna-Lee was the rare “one and done” bride! The gown needed very minimal customizations done to it since it already had a lot of the details that Anna-Lee was looking for. The guipure lace sleeves were perfect for her summer wedding. They gave her the coverage she wanted without making her too hot. The satin skirt that gave the dress its ball gown look was actually quite light and airy. Therefore, the main change that Anna-Lee made to the gown was to line the sheer corset of the dress. Lining the corset gave the dress a more traditional feel while the other aspects of the gown gave it a modern touch. 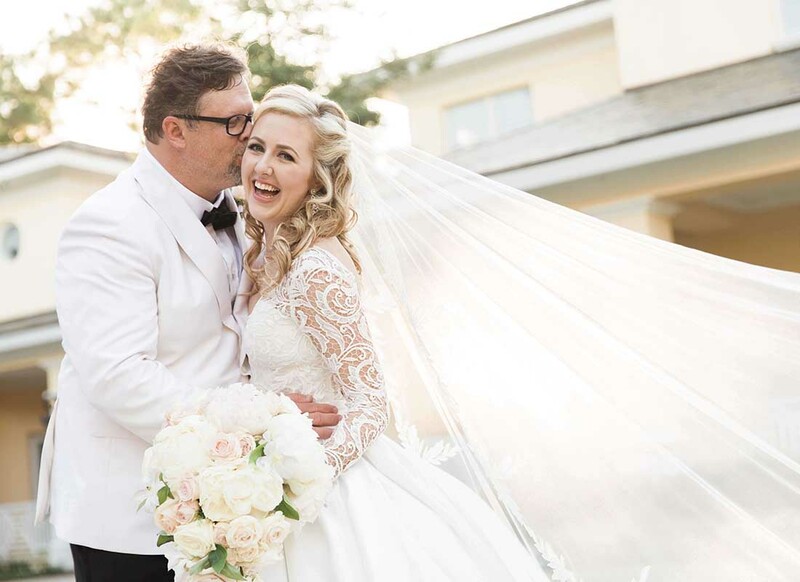 To enhance her bridal look Anna-Lee paired her gown with a gorgeous, cathedral-length Pnina Tornai veil. The veil was trimmed with the same enchanting lace that was on her dress. 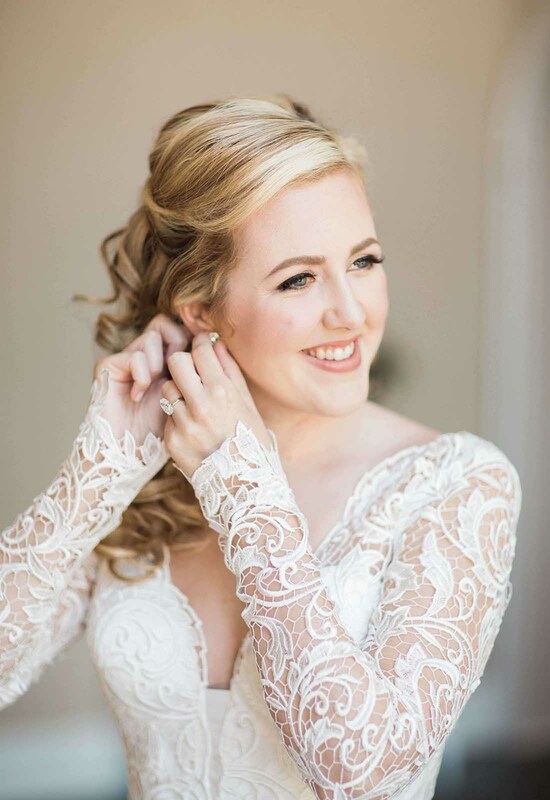 Anna-Lee wore her hair half up, half down on her wedding day with beautiful Southern curls cascading down her back. Finally, for a fresh pop of color, Anna-Lee donned romantic red lips for her special day. 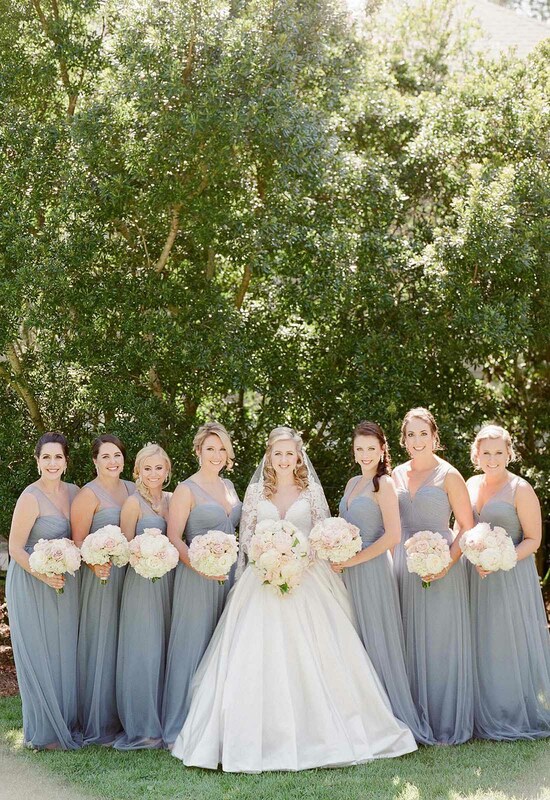 Everything about Anna-Lee's wedding was dripping with modern elegance. 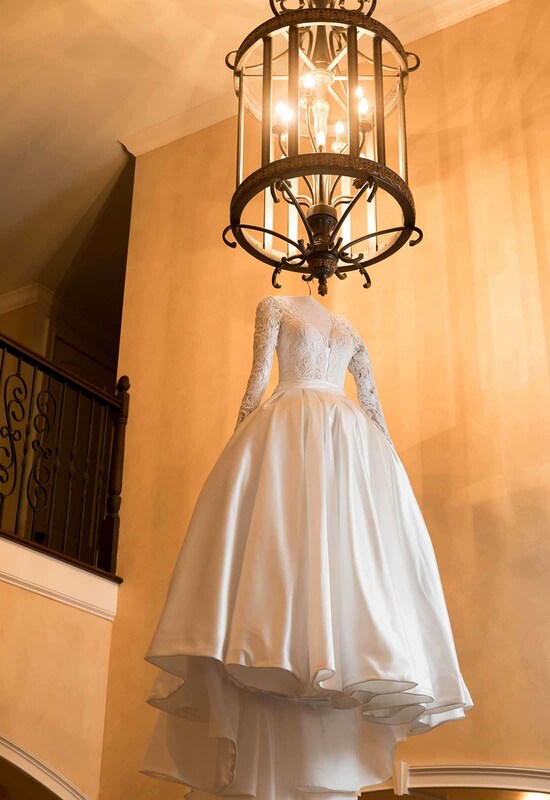 From her gown to the stunning One Stanford Center that housed her reception, everything had come together wonderfully. 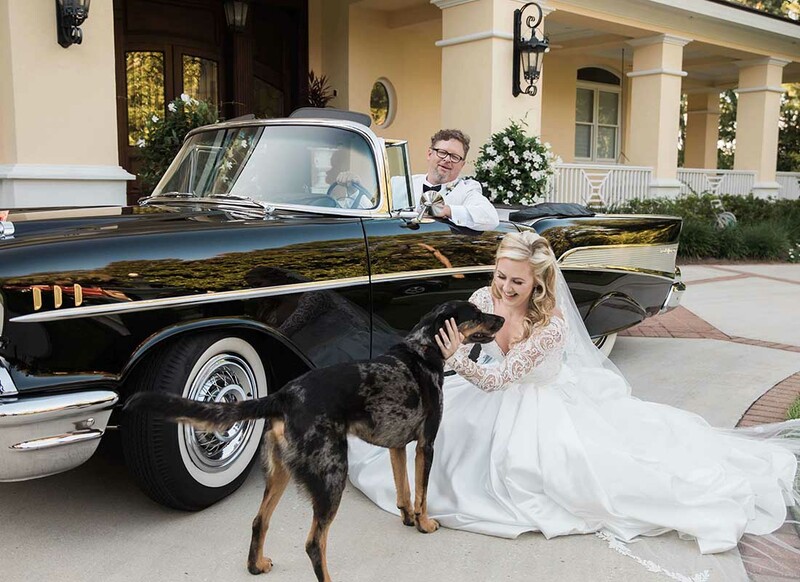 It was like a classic fairytale except instead of the horse-drawn carriage, the newlyweds arrived to their reception in a stylish '57 Chevy Bel Air. 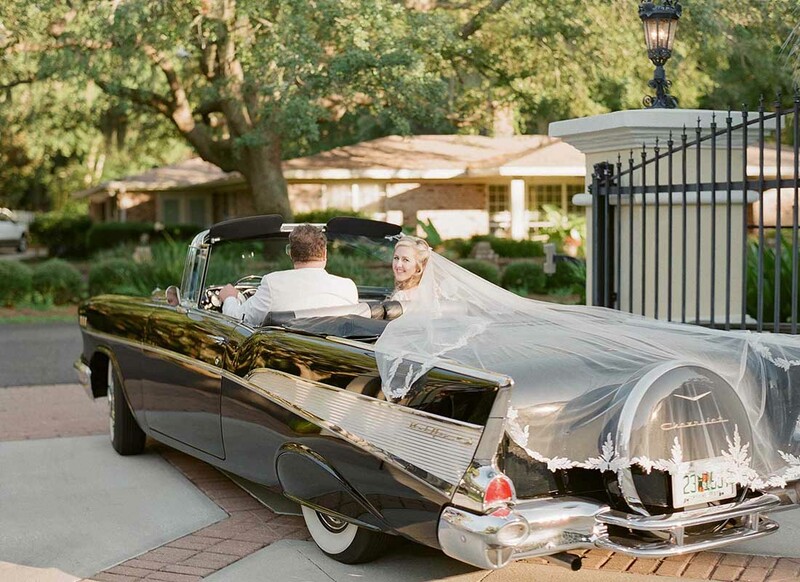 With her breathtaking veil flowing in the wind over the back of the car, Anna-Lee made an unforgettable entrance.